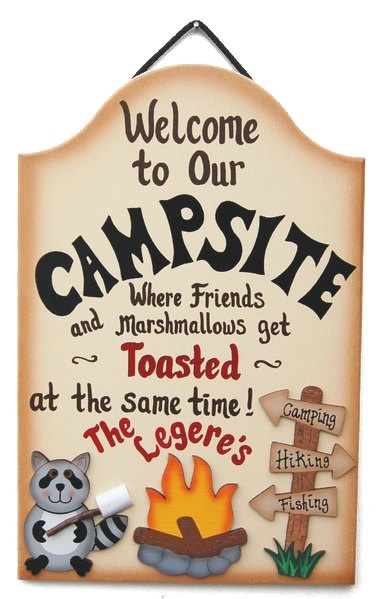 Yesterday I made my first Etsy purchase and, of course, it was a camping related one. 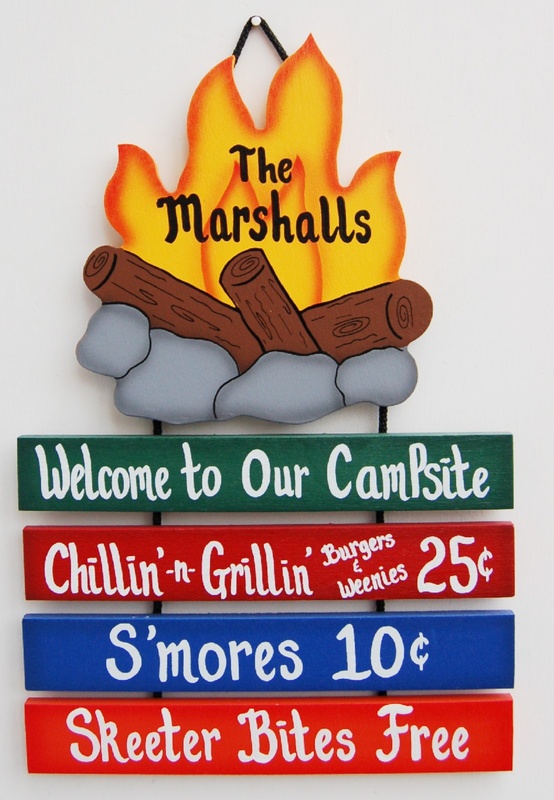 I wanted to find a personalized campsite sign to hang somewhere within our campsite. My husband and I settled on this design by Uniquely Crafted Signs. I am anxious for it to arrive. 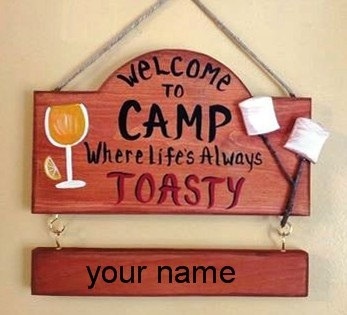 I ordered it with our last name and with hooks, instead of rope, so that I could hang it from a sign post. We came across a few other designs that we liked. 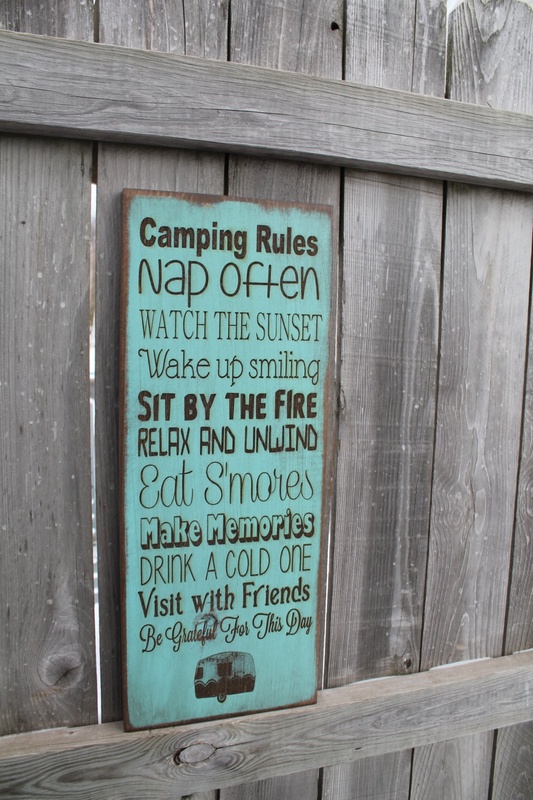 On our search for the perfect sign, we came across this Camping Rules sign, which I may just have to order as well! I cannot wait to see how all of our little purchases and projects come together! 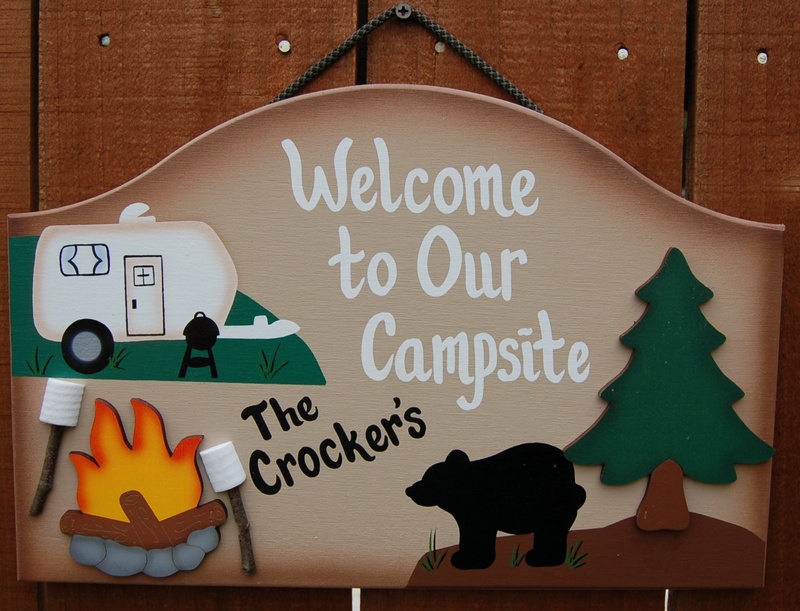 This entry was posted in Cool Camping Gear & Gadgets and tagged Camping, Camping Sign, Campsite, Etsy, Personalized Camping Sign, RV, Sign, Travel Trailer. Bookmark the permalink.